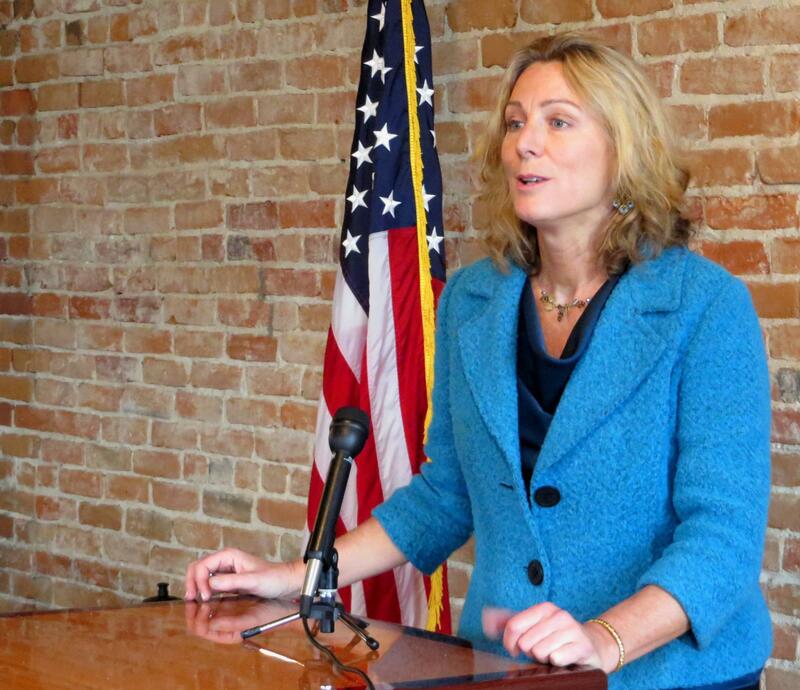 10 second clip of Gretchen Driskell's official announcement. Michigan State Representative Gretchen Driskell (D-52) announces she will challenge Republican Congressman Tim Walberg for the 7th District seat. Just three months after the November elections, a Democrat has announced she’ll run against Republican Congressman Tim Walberg. Second-term Michigan State Representative Gretchen Driskell (D-52nd) is challenging Walberg in the Seventh Congressional District. The former Mayor of Saline says she wants to take the core values of the people of the district to Washington D.C.
Democrat Pam Byrnes only received 41-percent of the vote in the 2014 election. Some pundits say the loss was partly due to voter apathy and disgust with partisan politics. Driskell says her challenge goes beyond politics. “It’s partisan because it’s partisan, but at the end of the day I believe representing the people in my district. And that’s what I’ve done in the 52nd and that’s what I’ll continue to do in the 7th," Driskell told the audience gathered for her announcement in Saline Monday morning. Driskell served as mayor of Saline for 14 years. She noted it was a non-partisan position. She didn't declare herself a Democrat until she ran for state representative in 2012. Congressman Walberg won reelection to the seat last year with more than 53 percent of the vote. He is a favorite among Tea Party voters. Driskell says she's getting an early start in the campaign in order to introduce herself to the rest of the 7th District. The last time a Democrat held the 7th district was when Mark Schauer won in 2008, serving for one term.